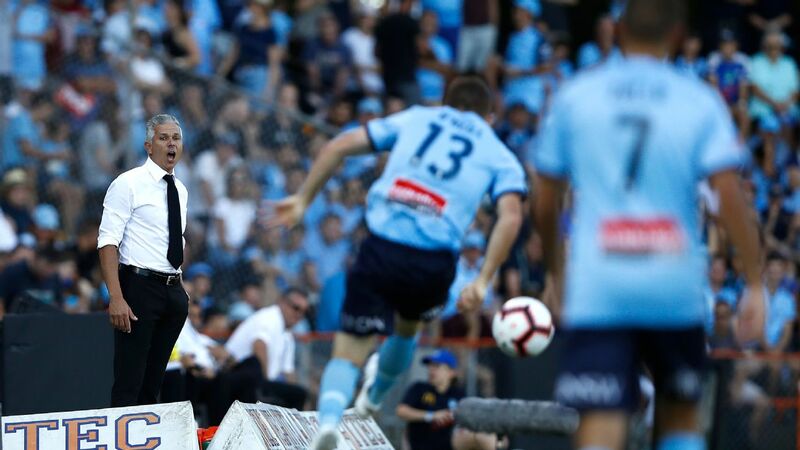 Sydney FC have pivoted in their hunt for a speedy striker, with coach Steve Corica now keeping his options open to sign a target man during the transfer window. 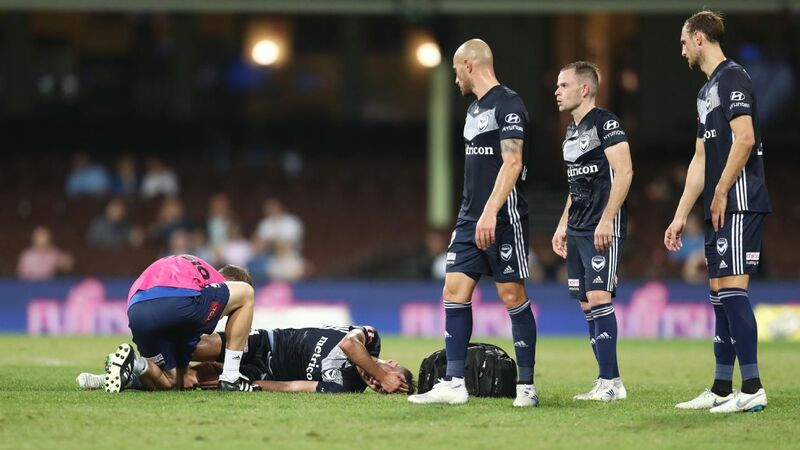 Corica has been outspoken about the need to replace the pace of injured attacker Trent Buhagiar, who looked set for a breakout campaign before tearing his ACL in October. 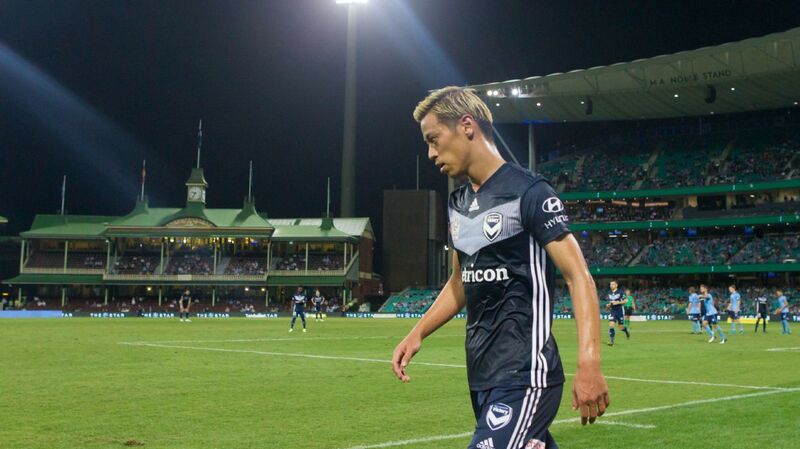 Ahead of Friday's A-League clash against Central Coast, Corica announced the club has now broadened its search. "I said if we can find the right player with speed, yes," Corica said on Thursday. "Or there's players that we're looking at -- different kind of strikers as well, a little bit taller strikers that are good in the air. Maybe a target man, a couple of different options we're still looking at." The Sky Blues kicked off their transfer window spree on Wednesday by signing former Melbourne City midfielder Anthony Caceres to bolster their engine room. 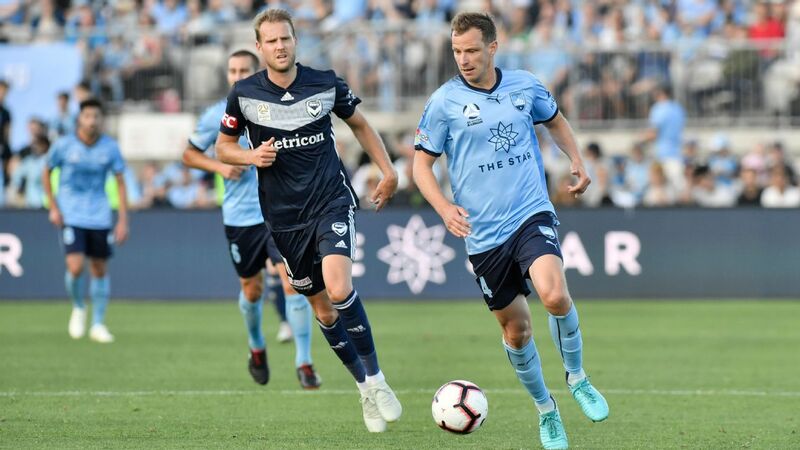 Corica also has the option of unleashing little-used Danny de Silva, further opening room for Siem De Jong to be used up front alongside Adam Le Fondre and Alex Brosque. 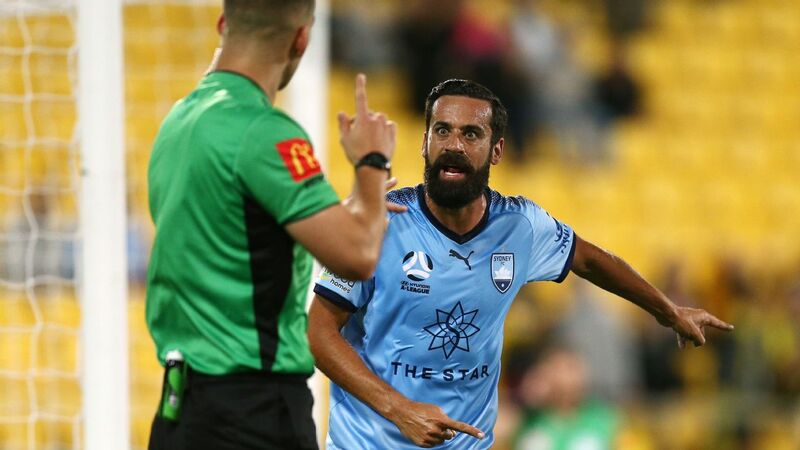 However, with Brosque 35 years of age, Corica is looking to ease the workload on his skipper. "He can't play six games this month, so we need to rest him at certain periods during this month. Siem can play further upfield," he said. However Corica is also looking at bringing in another overseas striker in time for the Asian Champions League in March. "Maybe the striker as well that we're looking at is an Asian player which will help in our Champions League as well," he said. "There's 1-2 Asian players we're looking at at the moment for that. We'll have to wait and see." In the meantime, Sydney FC will look to extend their three-game winning streak when they host the bottom-placed Mariners at Jubilee Stadium. 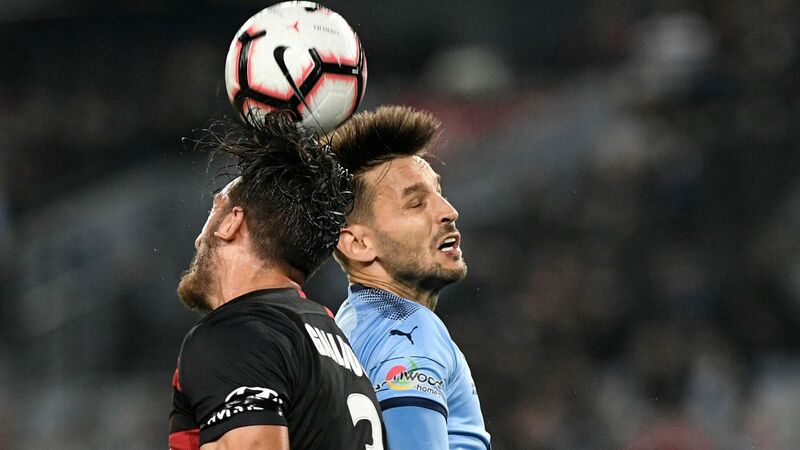 The Sky Blues were forced to come from behind against Mike Mulvey's side in round six, but will be expected to make short work of the winless outfit. Despite having six games this month, Corica is unlikely to start rotating his players on Friday but is likely to feature Caceres off the bench should he gain international clearance. 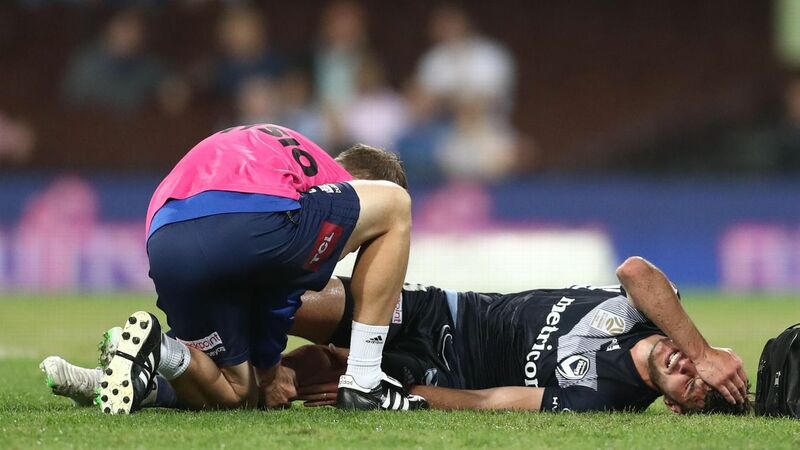 The Mariners have included luckless defender Jonathan Aspropotamitis into their game-day squad for the first time this season after rupturing his ACL in February.